Businesses need mobile applications with the necessary features to be successful in the very competitive market of today. Hyperlink InfoSystem is the leading company that specializes in the development of mobile app in Dublin. We will include the important features that the company needs in the mobile app. We focus on developing apps with effective and efficient user interface designs. Hyperlink InfoSystem is a top mobile app development company in Dublin because we have developers that are professional. We are committed to satisfying our clients by creating top-quality apps at affordable prices. Our experience over time makes us know what will be the best features to include in the apps for our clients. We have built over 1000 top quality apps globally. We deal with all kind of businesses – small and big enterprise. 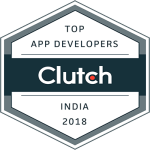 We are the best mobile app developer. We specialize in developing mobile app across the listed platforms. Windows App Development: We have built unique apps on the Windows platform for our clients worldwide. This is the third most used platform. iPhone and iPad App Development: This is the second most used platform. We develop innovative apps without ignoring the efficiency aspect. Our team of mobile app developers in Dublin is the best in the business. If you want to develop an app to promote your business or for other reasons, you should contact us. Whether it is Windows, iOS or Android, we will develop a quality app for you.